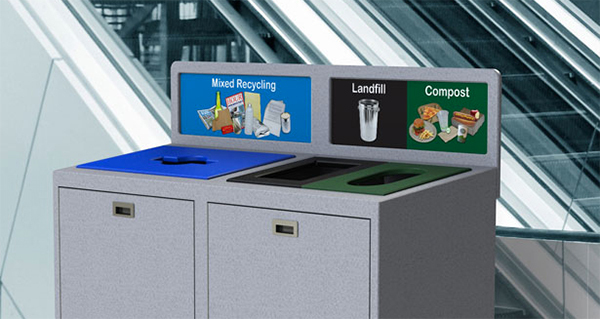 From complete free standing recycling units, to containers that work with existing bins you may already have, CleanRiver offers a number of ready-made products that are ready when you are. 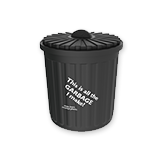 They are ordered as is but you can customize them with labels and graphics to help reinforce the recycling culture at your company. 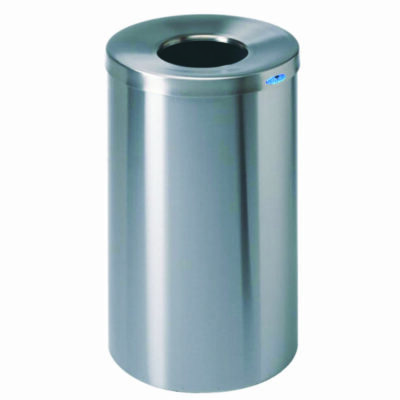 Stainless steel free standing waste receptacles are ideal for high traffic areas requiring the quality and durability of an all stainless unit without the commitment of wall mounting. They offer clean geometric design lines with radiused corners, ideal for lobbies and reception areas. 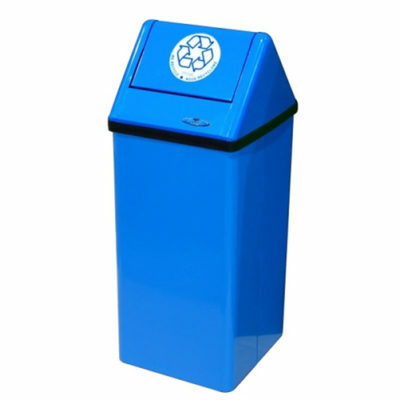 The Frost free standing series of waste containers can be used in almost any application. The medium and small garbage cans fit under most counter tops. The all metal construction is ideally suited to fire protection and rugged use. 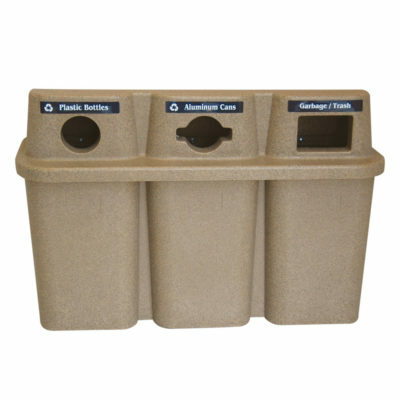 The TRIO is a single unit that gives the appearance of three separate containers. Round, commingle and rectangular front openings with optional adhesive vinyl labels. 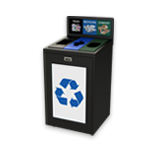 Compact recycling and waste containers come in a variety of colors and can be ganged together in a tech-pack to create an affordable waste diversion station. Each unit has either a circular 4.5” opening or a 4.5” x 13” rectangular opening. 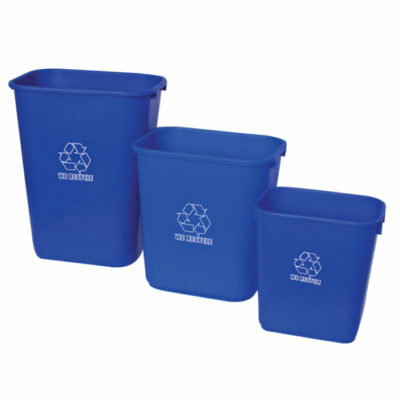 Indoor blue bins that are conveniently designed to fit under desks and in other small interior spaces. 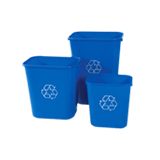 Three sizes to suit small or large volumes of recycling material collection. 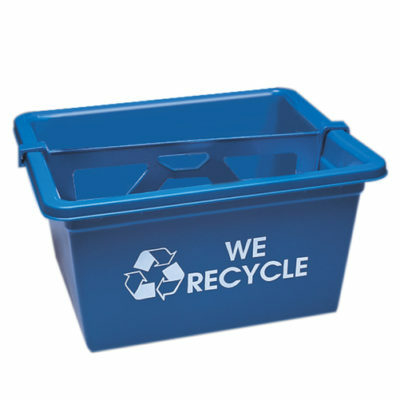 Deskside recycling bins are made from flexible high density polyethylene (HDPE). Conveniently designed to fit under desks in a variety of sizes to suit small or large offices. Movable divider option separates two streams. 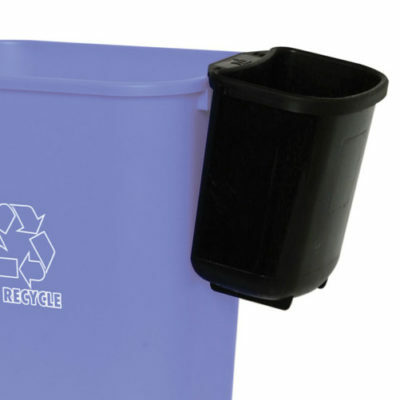 Standard imprint, Mobius Loop and “We Recycle” on two sides. Custom imprints and colors available. 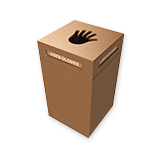 Soft grip handles allow containers to be picked up from any side. 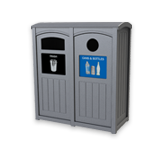 Sturdy free-standing design with a slanted front to allow for stacking containers to create a recycling station. 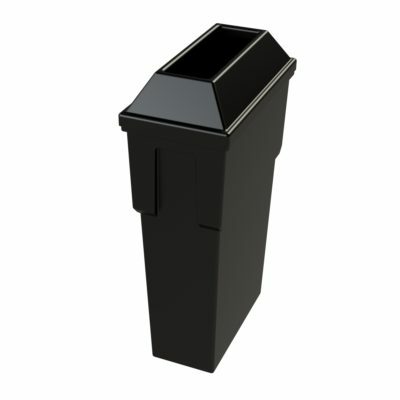 Built to fit into small spaces, this bin is lightweight and easy to carry. Smooth edges and rounded corner wipe clean. Standard imprinting may be enhanced or replaced with optional adhesive vinyl labels featuring your own message. 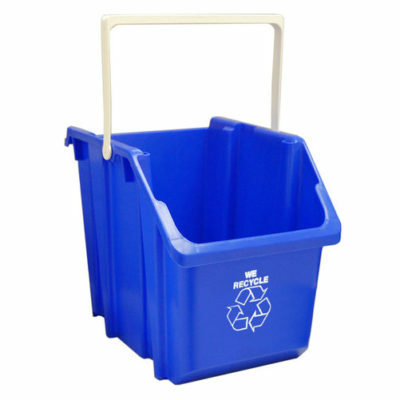 This hanging waste basket is designed to hook onto existing waste or recycling bins (round or square) to create a complete deskside recycling system. 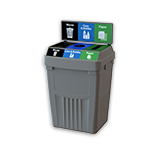 Like the Mini Bin, its small size encourages users to empty, reducing janitorial costs. Standard imprinting may be enhanced or replaced with optional adhesive vinyl labels featuring your own message.